Make your dog the envy of the neighborhood by visiting Fondren 5 Star’s Grooming Salon & Spa in Missouri City. Our Dog Grooming Salon & Spa right outside of Sugar Land, TX offers all the luxuries you expect from a human spa. Whether your pup needs a clean up after a day of fun at our stimulating daycare, or you’re just pampering, your pet is guaranteed to look amazing after a luxurious day at our spa. We’ll make your pet look and feel fabulous! Our Pet Stylists and Bathers have the training, experience and ability to work with breeds of all sizes, all ages and stages of your companion dogs and cats. 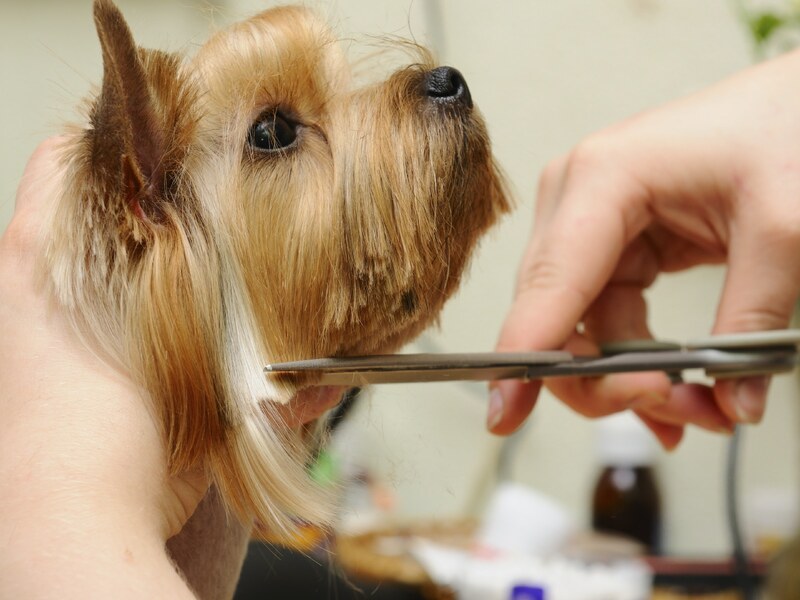 Grooming is by appointment and pricing varies due to size, breed, style or trim, and coat condition. Puppies and kittens are welcomed to grooming as soon as they have their immunizations. Grooming teaches them to be touched, brushed and completely inspected from nose to tail - all promoting well being. Pets that are fresh and clean spend more time interacting with family and are truly considered a part of the family! Pet grooming services can be scheduled with lodging or as a separate grooming appointment. Reserving in advance and sharing all the details that matter most to you assures your pet will have an exceptional experience at Fondren 5 Star Pet Resort dog grooming salon. Aromatherapy products help reduce everyday stress and relax your pet. Package includes Citrus and Coconut Oils, which provide emollients to help soften the skin and help relieve dryness as well as Lavender Oil, which is an aromatic oil that may provide soothing and calming properties, and is soap free.